We Help Smiles Last Longer! 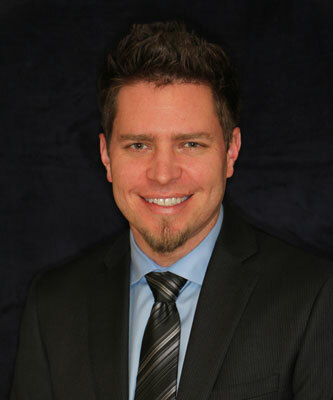 Northern Colorado Implant and Prosthetic Dentistry, specializes in Implants and Prosthetic procedures. Andrew J. Bock and his team of caring staff, handle a wide variety of services in a straight forward honest approach. Dr. Bock and his team believe that the Prosthodontist-Patient relationship is vital to the understanding of treatment and oral health of his patients. As a dedicated professional to the Prosthodontic field, Dr. Bock genuinely educates his patients and helps them make decisions based on their needs, that are right for them. He's received his Certificate in Prosthodontics at the University of Texas Health Science Center, and since moving back to Colorado, is especially excited to be assisting patients who will come to love his work and his professional approach. He holds memberships with the American College of Prosthodontists, the Academy of Osseointegration (the leaders in Implant Dentistry), the American Dental Association, the Colorado Dental Association, as well as the Larimer County Dental Society.His continued dedication to the field of Prosthodontics and the memberships he belongs to enable him to lifelong learning and furthering himself. Andrew is a father of 2 daughters, Mia and Elyse, married to his dental school sweetheart Colleen in 2003, Colorado native, and loves spending time with family and friends.In his spare time, Dr. Bock enjoys working on his car, music, architecture, and reading. "My patients know me to be a caring and gentle dentist who is genuinely concerned with their well-being. My goals as a dentist are to educate my patients and help them make decisions regarding their care that are right for them. My family and I are excited to be back in Colorado, and I look forward to a career in service and dedication to those who entrust their care to me."